Darlene Tormey entered into eternal life in the early morning hours on Wednesday, April 10, 2019 at Pine Valley Assisted Living. 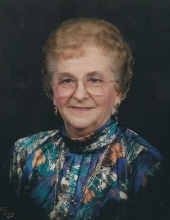 Darlene would have celebrated he 91st birthday on April 11. Darlene was born April 11, 1928 to parents Otto and Mary Wolfe. She joined siblings Marie, Erma, Grace, Edwin, Kenneth, Darwin and Donald. They lived on the family farm on Weister Creek near LaFarge, WI. Darlene attended Weister Creek School, graduating in May 1942. She did not attend high school, as she stayed home to assist her father and brother Kenneth with the farming/dairy operation. In May 1945, she met Kenneth O. Frye, who had returned from service in Europe during WWII. Darlene and Kenneth were married on June 12, 1946. They started their married life on a rented farm southeast of Viola (Elk Creek). Their home was a log cabin with few amenities. Field work was done with horses and cows were milked by hand. Darlene gave birth to twin sons, Leonard and Kenneth, Jr., on September 19, 1947. Dr. Killian Meyer drove from Richland Center to assist with the delivery. Kenneth Jr. perished shortly after birth. In the spring of 1949 they moved to Ash Ridge, accompanied also by a second son Larry. They continued farming with a more modern home and larger barn and still farming with horses. A daughter Carolyn was born October 1950, and a son Michael was born December 1951. In the Spring of 1951, they relocated to Bell Hollow Lane, East of Gillingham, to a two-story house and 80-foot barn with a 40-foot silo, rented from Ethal and Myron Huffman. The house did not have an interior bathroom. It did have a pump to pump spring water. Cooking was done on a large wood stove with a water reservoir. This stove heated the water for laundry, bathing, etc. Those four young children slept two to a room upstairs and shared the bath water. Horses were still used to plant and harvest crops. In 1953, a Ford Jubilee tractor replaced the horses. In 1957, a large Case tractor joined the workforce. 40 cows and Surge bucket milkers helped to ease the workload. Darlene assisted Kenneth with almost every aspect of the daily farming operation, as well as being a mother, cook, etc., all those things that mothers do. Because the rental agreement was 50/50, Kenneth drove a milk truck for Watts Gillingham Cheese Factory. He picked up milk cans from neighbors on Fancy Creek and Gillingham area. To further supplement the family income, Kenneth drove school bus on a part time basis, eventually giving up the milk hauling. Additional cattle-related tasks had to be performed by Darlene for the morning chore time. While Kenneth was picking up students, assistance was rendered by sons Leonard and Larry. Other chores related to feeding chickens, gathering eggs, etc., were done by Carolyn and Mike. Spring of 1961 brought a diagnosis of colorectal cancer for Kenneth. Surgery and recuperation followed. Again, Darlene, with children and help from neighbors, continued the daily operations. Neighbors tilled and planted the spring crops of oats and corn. Kenneth was able to resume his farm duties. Then complications arose which necessitated more hospitalization in Madison. Kenneth passed away on September 30, 1961, leaving Darlene with the care of four young children and a dairy farm operation. Brother-in-laws Phillip Frye and brother Faye Wolfe assisted. Neighbors Sebraneks, Bells, Gillinghams and many others helped with the fall harvest, silo filling, corn picking, etc. Mid-October a farm sale was held. All cattle, machinery, etc., were sold. In November, Darlene and children rented a house near the Union School. Brother Faye and brother-in-law Ronnie Curtis assisted with tasks that Darlene was unable to do, such as house and maintenance related. Darlene eventually decided it would be best if she moved in to Richland Center and seek employment and school closer for the children. She rented an apartment over the then Gambles store. She accepted a job at Hubert’s Men’s store as seamstress, doing alterations and sales. Through friends Jean and Marion Dary, she met Leslie Tormey. Leslie owned a farm in Blackhawk, WI, and sold Burg Barn cleaners and silo unloaders. On January 20, 1967 Darlene and Leslie were united in marriage at the Little Brown Church in Nashua, Iowa. The family then relocated to Leslie’s farm at Blackhawk. Leonard was attending Richland County Normal and working at Schultz Brothers, living in an apartment owned by Darlene’s friend Leona Schmidt. Darlene always knew if Leonard was staying on the straight and narrow. In March 1968, Leonard was drafted and eventually sent to Vietnam. Son Larry was also drafted in 1969 and sent to Vietnam. For a period of 26 months, Darlene had a son serving in Vietnam in a combat related environment. Both Leonard and Larry returned home to restart their lives where they had left off. 1969 brought Darlene and Leslie back to Richland Center due to a territory sales reassignment for Leslie. The Blackhawk farm was rented to Leslie’s son Dwayne. Darlene started working at Schultz Brothers Variety Sore, and worked at Schultz’s until 1985 after 15 years. Darlene and Leslie purchased the Turnmire home on West First Street and continued to work at their respective jobs. In 1986, Leslie was experiencing health problems, suffered a stroke and passed away on January 3, 1988. Darlene was left a widow for the second time in her life. On May 22, 1988, her son Larry passed away. Despite these hardships, Darlene continued her employment at Schultz Brothers. She worked for three different managers, and made many lasting friendships with co-workers and friends. Darlene busied herself with making many beautiful quilts. The quilts were never sold, but were given to family and friends for birthdays, anniversaries, etc. They have become a treasure to all who received one. Reading was another passion enjoyed by Darlene. She built up and impressive “sun porch library”. She was known to share those “romance” books with sister-in-law Margaret Frye. Cooking was a skill that Darlene excelled at. She was the “Queen” of the family gatherings for holidays, birthdays and family reunions. She told the other family members what they could bring to the feasts. No arguing with her! Being the “mother in charge”, she filled her plate last, but not least. Sometimes her food needed to be reheated. “Cardinal Rule”: dishes washed and put away by other family members before they could go home. Darlene was an active member of Park Street Christian Church, and cherished her church family. There were few church events and activities that she did not participate in. She was in charge of one of the three ladies’ circles, and organized and supervised many, many lunches for funerals, anniversaries and birthdays. Enjoy lunch today with Darlene. She’ll be supervising from Heaven. Darlene became involved with the Food Pantry. She enjoyed working with fellow volunteers at whatever task she was relegated to doing. The truth is, she enjoyed the wings and beer at the Phoenix Center on those Tuesday nights with fellow Food Pantry workers. As dementia took its ongoing toll, Darlene was content to provide for herself and count the squirrels and birds in her backyard. She also kept a close eye from her front porch on West First Street activities. Little was left unnoticed. She particularly enjoyed the small children that graced the neighboring families, ie: Wackers, Sparks, Huntamers. She always made her porch available to Eleanor Poole and Eleanor’s 4-legged friend Lucy. Sometimes a mess was the result. Because of declining health, Darlene agreed to make Pine Valley Community Living her last home, entering on February 1, 2018. She spent one year in room 610 on the assisted living wing. She continued to monitor the birds, field work, traffic, weather conditions, employee comings and goings. She was fortunate to make new resident friends. The care rendered to Darlene by the CBRF team members was second to none. They all are to be commended. February 1, 2019 brought Darlene being moved over to the 200 Oak Hills wing, where she could receive the extra, more prevalent care that she required. The care in her new environment was nothing short of phenomenal. The entire 24/7 caregivers and staff are to be praised for their caring treatment of Darlene. The “team” concept is great, from greeter at the front door to Administrator Tom Rislow. Darlene’s family thanks you from the bottom of their hearts. There will be room in Heaven for each of you, just as there is for Darlene. Special friends: Beverly Winters, Bonnie McCallister, Lois Anderson, Olive Nelson—this friendship formed in school and continues yet. Numerous nieces, nephews and friends, including her Park Street Christian Church friends, and Pine Valley Assisted Living caregivers and residents. Darlene was preceded in death by: her husband Kenneth O. Frye, husband Leslie L. Tormey; her sons Kenneth Frye, Jr., and Larry L. Frye; her parents Otto and Mary Wolfe; sisters Marie Wolfe and Erma Curtis; stepsister Sylvia Brewer; brothers: Edwin (Faye) Wolfe, Kenneth Wolfe, Darwin (Sam) Wolfe, Donald (Pete) Wolfe; sister in laws: Beatrice Wolfe, Alice Wolfe; nieces: Linda Wolfe, Sherry Wolfe, Barbara Frye, and Catherine Frye; and Kenneth’s brothers and sisters, sister in laws, brother in laws and nieces. Darlene’s Celebration of Life will be held at 11:30 AM on Friday, April 26, 2019 at the PARK STREET CHRISTIAN CHURCH, 148 South Park Street, Richland Center, WI 53581. Burial will be in the Viola Cemetery. Friends may call at the church on Friday, April 26, 2019 from 9:00 AM until the time of the service at 11:30 AM. The family suggests memorials in Darlene’s name be directed to the Park Street Christian Church Missionary Circle or to Pine Valley Community Village’s Activity Fund. The Pratt Funeral and Cremation Service is assisting the family with their arrangements. Online condolences may be made at prattfuneralservice.com. To send flowers or a remembrance gift to the family of Darlene Tormey, please visit our Tribute Store. Guaranteed delivery before Darlene's visitation begins. Guaranteed delivery before Darlene's service begins. "Email Address" would like to share the life celebration of Darlene Tormey. Click on the "link" to go to share a favorite memory or leave a condolence message for the family.